There’s an abundance of information on care and health for horses, but up til now, donkey owners and veterinarians have had fewer tools to help the animals in their care. 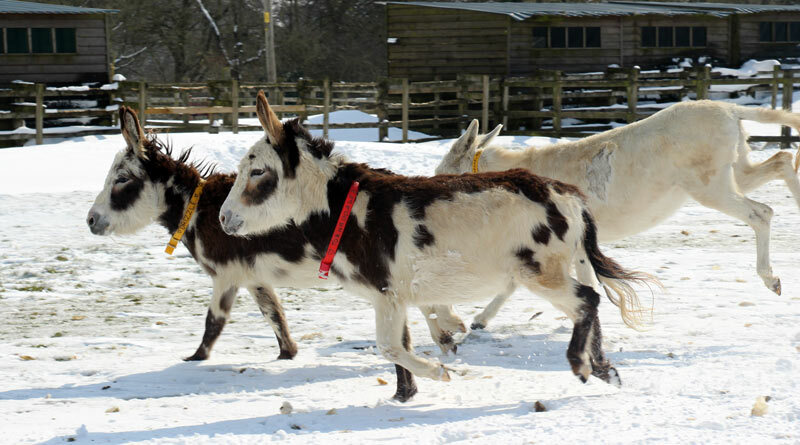 Now, thanks to a new quality of life assessment tool launched by international animal welfare charity The Donkey Sanctuary, donkey owners and veterinarians have more information at their fingertips to monitor the health and well-being of their charges. The resources are the result of the charity’s three-year ‘End of Life’ project which was completed in 2017 and provides support for owners and professionals alike in assessing donkeys in their care. The project found that the key influence in owners’ end-of-life decisions was their own assessment of quality of life. Many owners felt they needed more support in this respect, with around half of owners wanting more information. The owner’s pack is created to monitor changes in quality of life and allows for specific indicators to be recorded regularly. Changes or trends can be reported to the vet, farrier, dental technician or other professionals. They can also be used for any circumstances where health has declined, such as monitoring recovery from illness or surgery. The professional’s resource has been designed for ease of use in the field and includes a self-duplicating pad which allows the sharing of information between professional and owner. This was one of the key areas identified as needing improvement by the ‘End of Life’ project. Monitoring and sharing information on changes or trends is valuable when considering quality of life and is also useful for monitoring recovery following illness, remedial work or surgery. Both packs include quick reference guides in a durable wipe clean material that is handy to use in all environments. “Donkeys are renowned for often displaying only subtle changes in their behaviour in response to illness or injury and it can be particularly hard for a donkey owner to objectively assess changes in health and behaviour over a period of time,” said Dr Faith Burden, director of research and operational support at The Donkey Sanctuary. She said the toolkit would facilitate the sharing of information and acts as a starting point for what can be a difficult topic for owners and professionals alike to tackle. The Donkey Owner Care Pack is £5 and includes several useful aids, such as a weight estimator, a quality of life indicator pad, a body condition scoring chart, and example diets. The Donkey Vet Care Pack is £7.50 and includes all of the above plus information on clinical examination, biochemistry and haematology, and a duplicating pad with a veterinary record of assessment for quality of life.